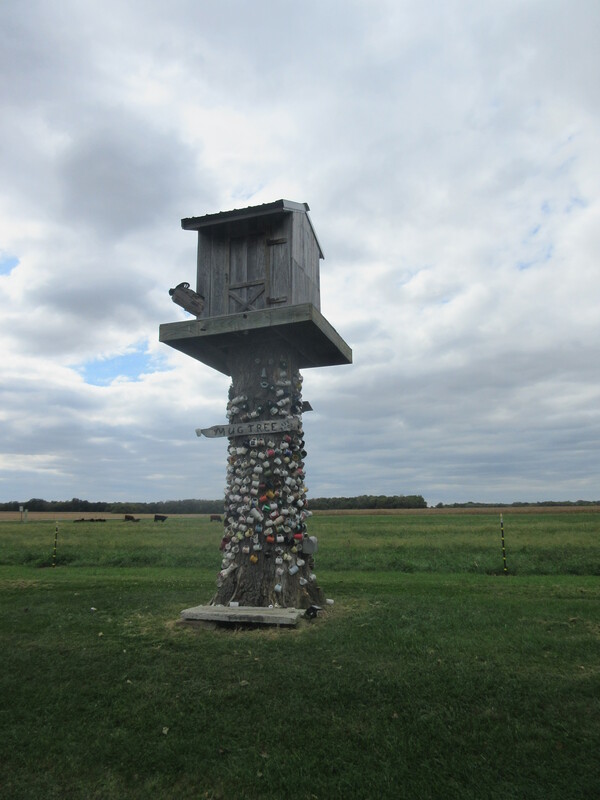 The Mug Tree is a road side landmark outside of Yale, Illinois. The town of Yale according to the sign has a population of a whopping 100 residents. Truly I think each and every one of them may have put a mug on the mug tree, it is filled with mugs of various shapes and sizes all up and down the truck of the stump that is topped with a seat where you could stop and reflect on, well, mugs! The tree is located on Route 49 and I saw it while looking for Burl Ives gravesite. 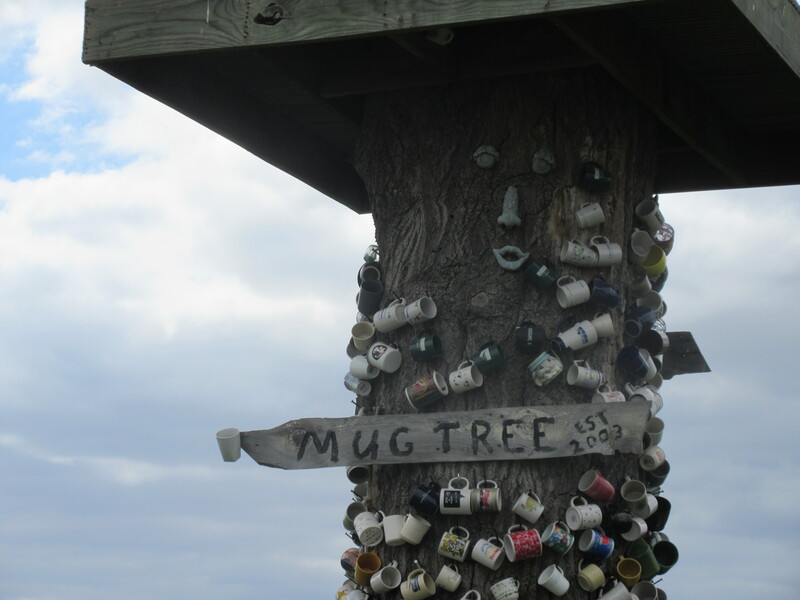 The Mug Tree is located a few miles north of Hunt City, the childhood town of Burl Ives who is buried in Mounds Cemetery. I had to stop and take a picture or two, who wouldn’t? Previous Post: One book – for one bull! Next Post: Cooking Class Comes Home II – Pasta feeling a little Italian coming on. I have to say that for the last couple of hours i have been hooked by the impressive posts on this site. Keep up the great work. what the theme iis named. Thanks! Interesting tree, I don’t consider it as a contemporary art, I don’t actually understand why was it build, but interesting. Thanks for sharing. Probably falls more in roadside attraction and folk art, glad you enjoyed it! This thing looks interesting. I think that I would like to make something as unusual as this thing by my own hands.